The fastest weeks of the year! 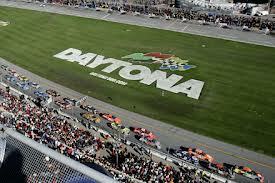 Holiday Travel RV Park and Campground is located less than 17 minutes from the Daytona International Speedway via I-95 at Exit 261A. Holiday Travel RV Park is centrally located to all conveniences and just minutes from the beautiful Flagler, Ormond and famous Daytona Beaches. Our park sites include full hook-ups with water, electric and sewer. Tent camping is also available for special events. All guests are welcome to join us in the recreation hall to watch the races on our large screen TV. We are now taking reservations for this year’s Speedweek. Copyright © 2019 Holiday Travel Park • Website design provided by PHD Consulting, a Maine company.